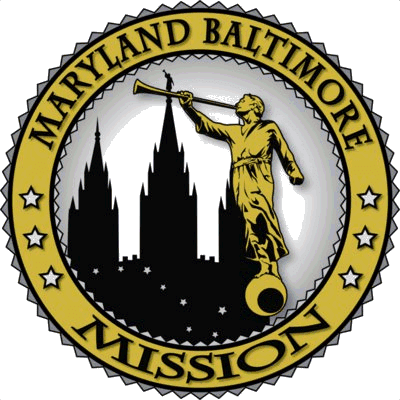 LDS Missionary from the Bay Area serving in the Maryland Baltimore Mission Spanish Speaking. Thankful to all my friends who came out and listened to my farewell talk. I'm excited to see what you all do in these two years and cant wait to hear from everyone! I have a family here on earth, They are so good to me. I want to share my life with them through all eternity. It is a joy and pleasure to stand in front of you today. For those of you who do not know me, my name is Thomas Ball, and this last year I have been attending the University of Oregon. I have been called to serve in the Maryland Baltimore mission spanish speaking, and I will be leaving on Wednesday to the Provo MTC. Out of pure coincidence, two of my cousins will also be reporting to the MTC the same date despite us all turning in our papers at different times. I am eager to see what the Lord has in store for me and I look forward to serving the people of that area. At the ripe age of 19, I know that I am still at the cusp of what life has to offer me, but I hope that each and every one of you gets something from what I have to say and that the spirit will be present. 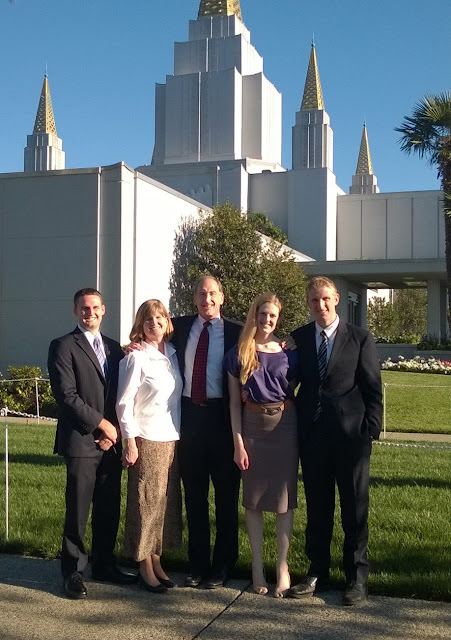 One year ago, I wasn’t even sure if I wanted to serve a mission. I didn’t have the burning desire to go, and I didn’t know if I would ever have that feeling. Throughout highschool I struggled at times to be an example of the church. I often felt inadequete with who I was and the way I was representing myself. I went off to Oregon, and I really struggled my first quarter of school. But it was in those struggles, in some of my hardest times, that I developed that burning desire to leave everything behind and serve a mission. There was one thing that I clung to during those tough times, and it was the idea, the thought, that through this gospel, families can be together forever. So today, I wish to talk a little about Coming unto Christ through faith in the Lord Jesus Christ, and the gift of Eternal Families. God, our Heavenly Father, loves us. He knows each of us individually, and He knows what each and every one of us are going through, and what we need to succeed in life. God does not see us for who we are in the moment, but who we can become, the finished picture. In order for us to become like God, we were sent to live on earth, to see if we would make the right choices that would bring us back to live with Him after our time on earth. We were given a body made in God’s image, and we retained our agency, which gave us the ability to make choices on earth and to choose for ourselves who we would become during our time here. He knew life on earth would be tough for us. God understood that we could not be perfect like Him. He knew that we would make mistakes, and that we would suffer through tragedies, afflictions, doubts, things that would push us to our limit. He knew we could not do it alone. So he sent his Son. “How could the Father tell the world of love and tenderness? He sent his Son, a newborn babe, with peace and holiness. How could the Father show the world the pathway we should go? He sent his Son to walk with men on earth, that we may know. Jesus Christ came into the world in most humble circumstances, born in a manger among livestock. His life on earth was in complete service of others. He performed many miracles of healing, he cast out evil spirits, and he gave the breathless life. But compared to all the miracles He performed, all the love and compassion he showed unto the imperfect, it was one of his final acts that will always and forever be the greatest act of compassion to ever take place on this earth. How could the Father tell the world of sacrifice, of death? He sent his Son to die for us and rise with living breath. In order for us, as imperfect beings, to reach the kingdom of God and live with Him again, there had to be a mediator: someone that would take upon himself our sins. Jesus Christ suffered in the Garden of Gethsemane, and on the cross, and gave us the chance to live for Eternity with our creator, as long as we believe in Him. The atonement that Jesus Christ fulfilled allows us to repent for the mistakes that we make, and through Christ, we can make it into the Kingdom of God. Those of you who know me know that I have a passion for sports. One of my favorite 49ers retired this last offseason, and in his speech, he said something that struck me. He said, “Here I stand in front of you today, not as a perfect man, but as an honest man.” Particularly, I thought this was interesting because it touched on the attitude that we can have in this life. We know that we are going to make mistakes. But if we can look at ourselves honestly, and repent for the sins that we have committed, and strive to live righteously, we will be rewarded with all that God has to offer us. What does the Father ask of us? What do the scriptures say? Have faith, have hope, live like his Son, help others on their way. 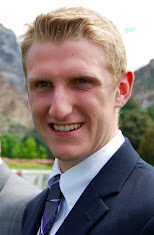 What does it mean to come unto Christ? Throughout the scriptures, we are often compared to as sheep, with Jesus Christ as our shepherd. Now any of you that have worked on farms can vouch for this, but sheep are said to be the dumbest four legged creatures alive. Although in brain capacity they are not all that dumb, their reliance on their basic instincts more often than not fails them. The shepherd has the demanding task of watching over his flock of sheep that, without training, will follow their instincts and each other instead of following the shepherd. But the shepherd is patient. He spends and dedicates all of his time, every hour of the day, watching over his sheep. At night, the shepherd builds a circle out of what materials he can find to create a barrier. The circle has only one entrance, and with his flock gathered within the fold, he lies in that entrance, the only thing standing between any predators that wish to reach his flock. The shepherd knows each and every one of his sheep. He has names for them, and can quickly call to a specific sheep in his flock, and if the sheep knows and recognizes the shepherd’s voice, they will come. However, in times of urgency, when the shepherd must gather all his flock together, he will not call the individual names of his flock. Instead, the Shepherd will call his own name, and if prepared, the flock will follow him. As children of God, we have a choice to make. We have been put on this earth to choose who we will become. There are many names or titles that we often strive to achieve: CEO, VP of Marketing, assistant regional manager, top 90% GPA of your graduating class. The most important decision we can make, the most prestigious title we can earn is when we take upon ourselves the name of Christ and follow his example. Even though the shepherd does his best to lead his flock, sometimes sheep have the tendency to keep their heads down as they graze, and they continue to walk further and further away from the flock, most of the time without even realizing it. The shepherd soon realizes that he is missing one of his sheep, and makes a decision that would be poor in the eyes of many business and economics minds. He leaves his flock to seek out the lost sheep, and makes the journey into the wilderness, exposing himself and his unwatched flock to turbulent storms and danger. But he makes the journey anyways. There are going to be times in our lives where we feel like the lost sheep. We don’t know how we got to the position we are in, and there was not a defining choice we chose that led us to where we are. We are going to feel uncertain, afraid, and sometimes abandoned. I have sometimes felt like the lost sheep. I felt alone, and questioned myself and what my goals were in life. I realized that I was not where I was supposed to be, and that my spiritual growth had stalled. I was coasting in life, and I neglected to keep God as a priority. But there is always hope, always room for change. Like the shepherd, Jesus Christ will never abandon us. There will never be a day where Christ looks at us and says, “you know, they just are not worth my love”. God will never write us off. Brothers and sisters, it is not the distance that we are from God, it is not the things that we have done in our life that take us away from him that matter. It is the direction of our life that matters. If we have faith in the Lord Jesus Christ, and choose good, virtuous things to fill our lives, and strive to do good at all times, we will be blessed. Brothers and sisters, I know without a doubt that this church is true. I know that Jesus Christ suffered for our sins, and that he was resurrected, so all mankind may be saved. I know that Joseph Smith restored this church to the earth. The Church of Jesus Christ of Latter Day Saints is Christ’s church. I know that the Book of Mormon is true. I know that if we live righteously and take upon ourselves the Name of Christ, we can have the blessing of the comfort that comes with knowing that families can be sealed together forever for all eternity. I know that marriage does not end at “till death do us part”. This world is already so hard, and some things are so uncertain, but there is a joy in knowing that you will see the ones you love after this life. I am serving a mission because I want to give other people the hope and love that comes with knowing that there is a life after this earth, and that you can live it next to those you love most for all eternity. I am so thankful for my friends, many of whom are in attendance today. They have been by my side at all times, and I consider them as family. They can be the first to tell you that I am not perfect, but they have encouraged me, and have made the transition into my mission so enjoyable. They have been very supporting of my decision, and I wish nothing but happiness to each and every one of them. I am thankful for my Young Men’s leaders, who have also always unceasingly believed in me. They taught me that we have the ability to make our own choices here on Earth, but in the grand scheme of things, the time we spend on earth is just a mere speck compared to what is coming. I have a family here on earth. They are so good to me. I want to share my life with them through all eternity. Families can be together forever, through Heavenly Father’s plan. I always want to be with my own family. And the Lord has shown me how I can. The Lord, has shown me how I can.